Thousands of supporters of Scottish independence have taken part in a pro-independence rally in the center of Edinburgh. People flocked to the capital from across Scotland for the rally. 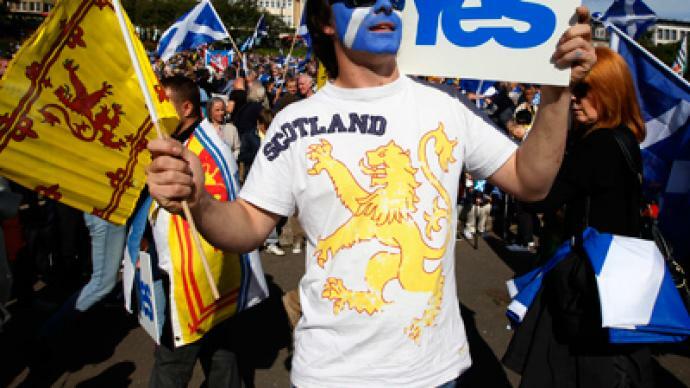 ­Local police estimated that up to 5,000 people gathered for The March and Rally for an Independent Scotland, which is not part of the official Yes Scotland campaign. Police said that two people were arrested for minor offences. The Meadows, a large public park in Edinburgh, where marchers started assembling at around 11:00 in the morning, with the Princes Street Gardens turned into a “sea” of nationalist paraphernalia. The event was attended by some high-profile speakers including First Minister Alex Salmond, Independent MSP Margo MacDonald, and Patrick Harvie, the leader of the Scottish Green Party. The rally has become the first in a series of events planned in the run up to the independence vote. Another is planned for this time next year and the biggest set for September 2014. ­Earlier this week Salmond said a deal on the details of the referendum can be thrashed out by the end of October. The leader of the Scottish National Party (SNP) wants to hold the vote in autumn 2014, for the country to become fully independent by 2016. 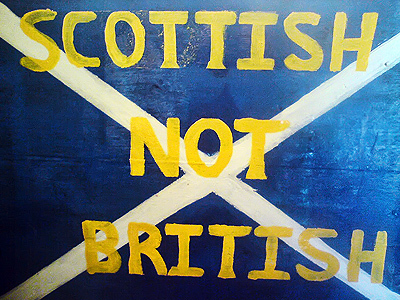 Opinion polls show that around 40 per cent of Scottish people are sympathetic to independence, with around 10 per cent undecided and the remaining 50 per cent opposed. But organizers believe they have two years to win the people over for an independent Scotland without the current artificial restraint they are under. 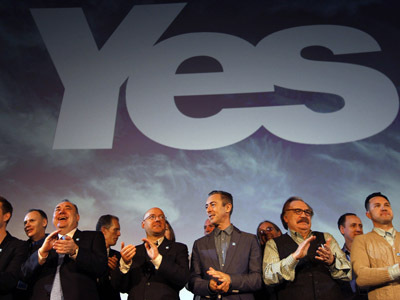 ­There has always been a compelling emotional argument for Scottish independence – a perception that the British parliament in London does not nurture Scotland's national interests. Scotland and England have been ruled by a single parliament in London since 1707. Since 1603 they have shared a monarch. 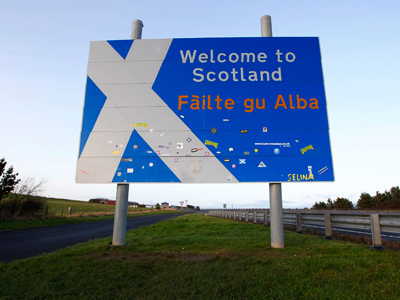 If it succeeds, Scotland would then break away from the UK – which comprises England, Scotland, Wales and Northern Ireland. But the SNP says an independent Scotland would, however, retain Queen Elizabeth II as its monarch, just as other members of the Commonwealth – such as Canada, Australia and New Zealand – do.